CodeSource can produce your UID/IUID label and anodized aluminum tags for MIL-STD-130 compliance, or sell you a system to produce your own UID/IUIDs. 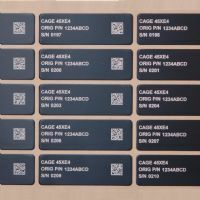 In many situations, a direct part marking requirement can be difficult or cost prohibitive, and in those cases we offer many customizable options for UID anodized aluminum tags and labels to find the one that makes the most sense for your application. Typically a tesa® Secure™ UID label or an anodized aluminum UID tag will be MIL-STD-130 & ISO/IEC 15415 compliant. CodeSource can offer both solutions in an almost infinite number of shapes and sizes. 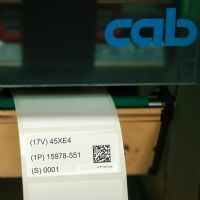 CodeSource's outsource marking services of UID labels/tags come with standard with verification reports of the codes produced which show compliance to MIL-STD-130, ISO/IEC 15415, or AIM-DPM(ISO/IEC TR 29158). Each order also includes certifcates of conformance(CofC) to any engineering drawings provided during the design process. Contact us so that a CodeSource Sales Engineer can discuss your specific contract requirements and provide the best pricing possible for your application. Expedite orders available in as fast as 2 business days! 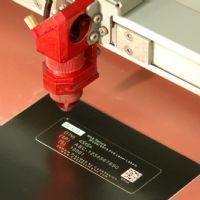 tesa® 6973 IUID Labels Outsource your IUID label requirements using tesa 6973 laser label material! Aluminum IUID Tags Outsource Pre-marked aluminum IUID tags from CodeSource.